Damaged roads, train tracks and other transportation infrastructure are preventing factories in western Japan from reaching a full recovery a month after deadly rains killed over 200 people in the region. Mazda Motor Corp. has resumed production at its headquarters plant in Fuchu, Hiroshima Prefecture, and in Hofu, Yamaguchi Prefecture, but railways used by their workers have not fully recovered. The automaker is allowing stranded workers to commute by car but is aiming to curb overtime work at night to prevent traffic jams, which could hamper reconstruction work. 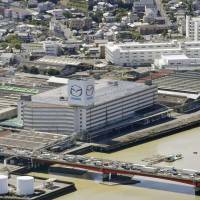 “We aim to minimize the disaster’s impact on our earnings by making full use of inventories,” Mazda Managing Executive Officer Tetsuya Fujimoto said. 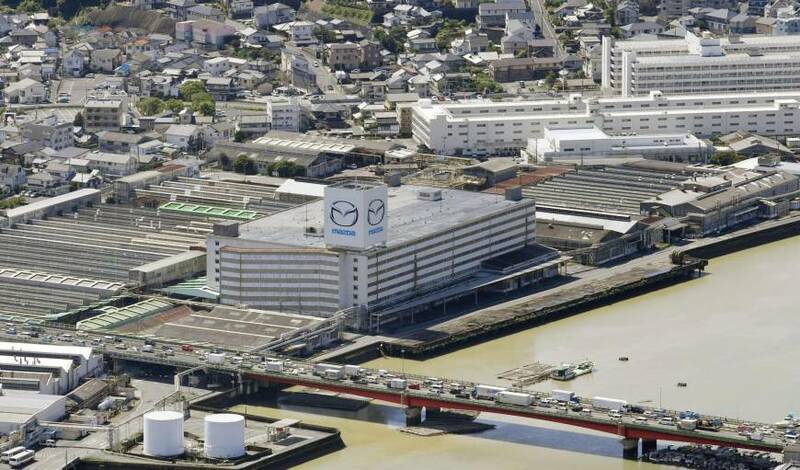 Panasonic Corp. has restarted operations at its flooded plant that makes business-use video cameras in the city of Okayama, but full restoration is not expected until late September because of repairs needed to production equipment. Kewpie Corp. has no prospects for resuming output and sales of canned meat sauce and four other products as its can supplier was damaged by the flooding. Among supermarkets, Tenmaya Store Co.’s Tenmaya Happy’s outlet in the Mabi district in Kurashiki, Okayama Prefecture, is nowhere close to reopening after being flooded to the ceiling. The store is now mobilizing vehicles to sell products. Aeon Co.’s MaxValu store in Mihara, Hiroshima, has meanwhile set up a makeshift shopping facility on its premises.